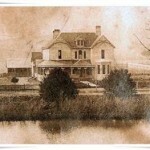 The spirits that live here are said to be former owner John P. Adams, his wife May and his son, Marion. John’s apparition has been seen in the parlor and Civil War museum area, and Marion is seen in the children’s room upstairs. The hauntings have been mentioned in several local newspapers and on radio shows, and the site once was owned by GhostLabs and open for tours. 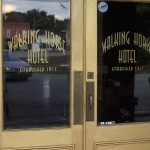 Reports are uncertain as to whether the site is still open either for touring or as an inn. myth buster sorry folks but if this place is haunted, the story is all wrong, j p adams was the first president of peoples bank in coffee, tn. his first wife mary died before the construction of the house. the child marion was only an infant when he died, 6 mths old and also died before the house’s construction so the “footsteps” supposedly heard here couldnt be his either. he did have a second wife, who came from mississippi, who he was married to when the house was built but they had no children, in fact, all the other children were already grown when he built this house. she either died or left a few years after they were married according to census records. he also owned a couple of stores across the street. it is a lovely area, right across from the town square, but no reason to think its haunted. also, it is no longer open to the public its owned by a private person now. now the cemetery across the street, THAT has some interesting stories, ive seen strange stuff there myself, and all the folks in town talk about the hauntings there. the adams family is mostly buried there in a nice family plot, there is a memorial to wife mary and marion, as well as another child grace who died much earlier also as an infant. two of his adult children are buried there. not sure where second wife emma is buried, but unable to find her in the plot. his mother permelia is buried right out side the fence. his father died in the civil war and is buried up north. 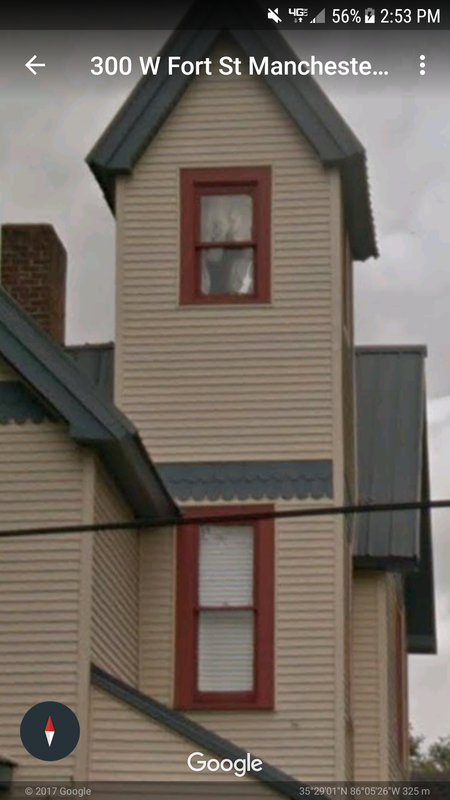 the ghost stories didnt pop up until the couple from grundy who were “ghost hunters” and had a show and wrote some books bought the house and turned it into an inn. before that it was just an old house. and believe me,as much as people like to gossip in this town, if it was supposedly haunted, everyone would have known about it way before then. disappointing to say the least, but i did enjoy doing the research on this place and met some really cool people who knew alot of history about the town. Check this out on Google earth. You’ll have to see it yourself from different views.